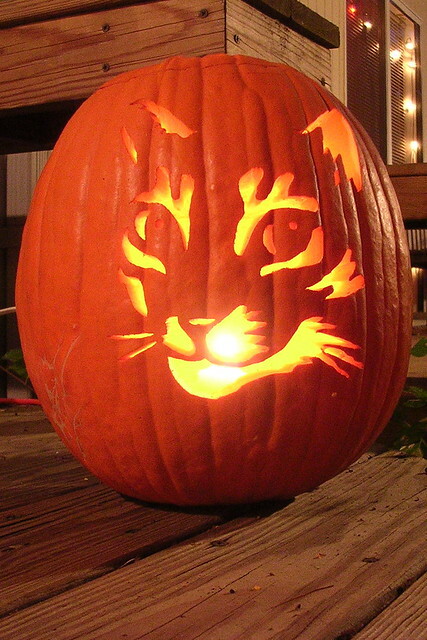 Cat Pumpkin | Flickr - Photo Sharing! One of the pumpkins I carved this year. On an odd note, this pumpkin had disappeared by morning, with no evidence of smashed pumpkins by our house. A.M. Kuchling, finette, vttroy, and 5 other people added this photo to their favorites. That is too cool.....i love both cats and pumpkins. Your original photo has been used unchanged (except for some minor cropping and editing) along with a credit link back to your orginal photo on your Flickr page. If you approve of the one time use of your photo, there is no need to reply and we thank you for the use of your excellent photo. If you disapprove, please reply to have your photo removed from the post.